Let's just say my man crush on Nathan Fillion is strong. This morning it has been made even stronger. Hints have been dropped this week and we have been wishing for this for some time but we finally have an Uncharted film! 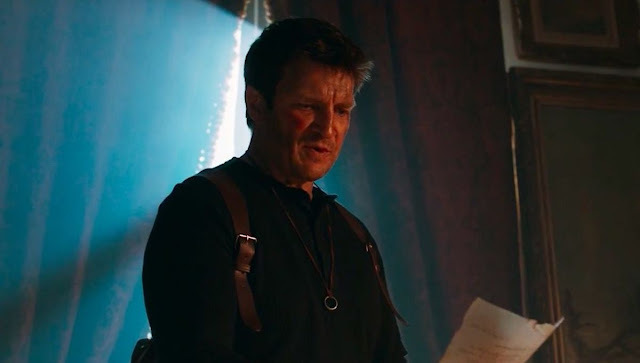 A fan made film has surfaced this morning with Fillion in the role of treasure hunter Nathan Drake, and I have to say, he is perfect for it. Directed by Allan Ungar the all to brief movie sees Nathan being interrogated then escaping in true Uncharted style. There is fan service a plenty and more than enough for Sony to sit up and take notice that this needs to happen! So people, here we are again, we did it for Deadpool, now it's Uncharted's turn. Share it around, far and wide, show everyone you know and make plenty of noise.